Our framing services include quality custom framing, mirrors, archival printing, installation and delivery. Framagraphic has an extensive selection of moulding, with hundreds of colours, shapes and styles to pick from. 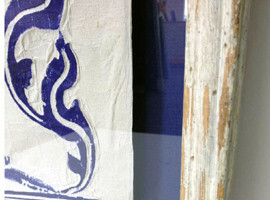 Shadow boxes are used for three-dimensional pieces, a unique way to display all shapes and sizes of objects. 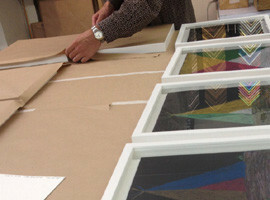 Framagraphic offers canvas stretching and framing for both traditional handcrafted paintings, or modern digital prints. 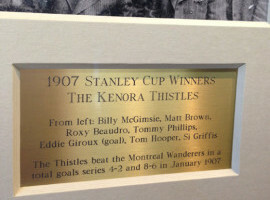 Custom mirrors can be made at any size and framed with almost any style of moulding we carry. 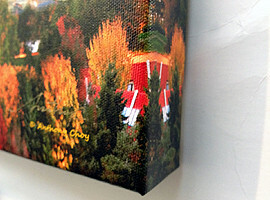 Digital files can be printed on a number of surfaces- from Giclee paper and canvas to acrylic and aluminum. 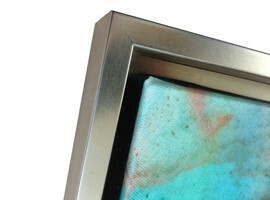 Matting can enhance and accentuate your art by giving it depth and contrast. Framagraphic staff are equipped with extensive knowledge and experience to assess and realize the best solution for your project. Our team encompasses diverse skills and abilities in order to grant individual requests, ensure high-quality and provide professional work. Our framing services include quality custom framing, mirrors, Gliclée printing, installation and delivery. We collaborate closely with our clients in order to find exactly what you are looking for. Because there are virtually unlimited options for a framing project sometimes the hardest part might be to chose the best solution; relax, our design consultants are there to assist you in the selection process. 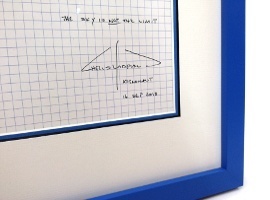 Moreover, our frame designs are selected to not only work with your art or special memento, but also complement your room, your personality and your style.